Drywall Contractors Chicago: What Can Your Commercial Drywall Company Do For You? 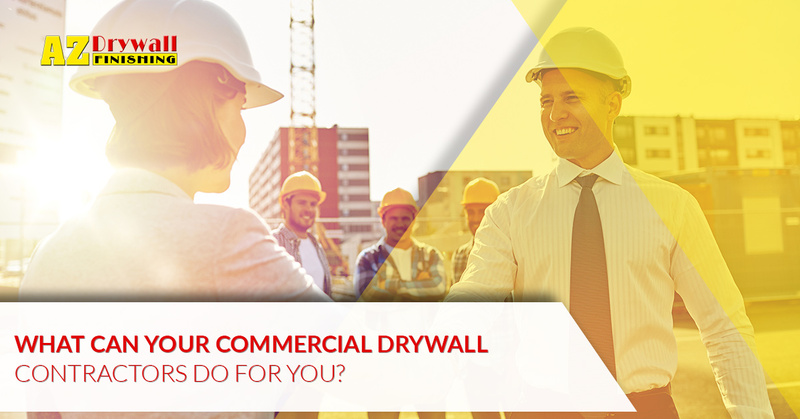 What Can Your Commercial Drywall Contractors Do For You? As your trusted local drywall company, AZ Drywall Finishing is here to provide quality outcomes for each and every one of our clients. From commercial renovations to franchise builds and more, our drywall contractors in Chicago have worked diligently since 1999 to provide the best results across many industries. We strive to be your trusted stud framers, hanging, and drywall finishers for comprehensive quality through every phase of your project. It pays to partner with a commercial drywall company that can provide the turn-key services you need to outfit your building with quality. Drywall installation is a complex process today, relying on numerous steps to create an ideal outcome. Working with an experienced drywall company can save you from needing to source additional labor and expertise for many tasks. Metal stud framing – Non-combustible, resistant to termites, and precise machining ensures that your building benefits from metal stud framing services. Our commercial drywall team specializes in this cost-effective service. We also provide structural design services with our framing, too! Installing steel trusses – From traditional Pratt trusses to large North-Light trusses, you have a wide range of styles to meet your structural demands. These large spans can provide lightweight support for most steel structures. Rough carpentry – Once the frame is up, your building will need to be outfitted with the exterior covering, including walls, floors, and the roof. This exposed surface will provide the backbone for future exterior elements in addition to your drywall installation. Exterior sheathing – Including in rough carpentry is the process of sheathing your home in boards to protect your home, insulate, and strength. Fiber reinforced panels – Also known as RFPs, these high-quality panels are available in a range of compositions and styles to create an affordable, durable outcome that reflects the look of large tiles. You can customize your building with different textures, woodgrains, focal points, and more. Insulation – Between the exterior and your new drywall will come the insulatory elements to keep the structure protected from outside weather changes. Proper insulation services can provide a number of long-term advantages for your structure. Drywall installation – Once the framing and insulation are in place, gypsum boards will be installed. Our commercial drywall contractors in Chicago can provide comprehensive plasterboard services for your project! Finishing services – Following your installation services, drywall finishers will need to come in and provide the final touches to prepare for a finished surface. Introducing texture here can infuse depth and quality into any drywall installation! Painting – In addition to texturing and sanding your new surfaces, your drywall company will be able to provide quality painting services to ensure a complete outcome. Acoustical ceilings – In many commercial structures, drywall services will need to extend to include acoustical ceiling installations. Our drywall contractors have the experience to provide quality fits for your building, including grid systems, ceiling canopies, and more. The results of your upgrade or new build will depend largely on the commercial drywall company you choose to work with. It is important to find a team that strives to set the standard for services across the industry while still being flexible enough to create a personal approach for your needs. Investing in a company with a diverse skill set will help to create an affordable and efficient outcome. If you are on this page looking for drywall contractors in the Chicago area, be sure to reach out to AZ Drywall Finishing today for assistance!